SUPBALL is a game that will push you to your limits, keep your strategic edge on full throttle and make you laugh like never before! Come down to be challenged, enlightened and amused. 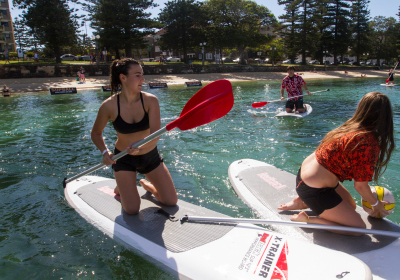 SUPBALL (Stand Up Paddle Ball) is a combination of netball, water polo, lacrosse and rugby - played on stand up paddle boards.